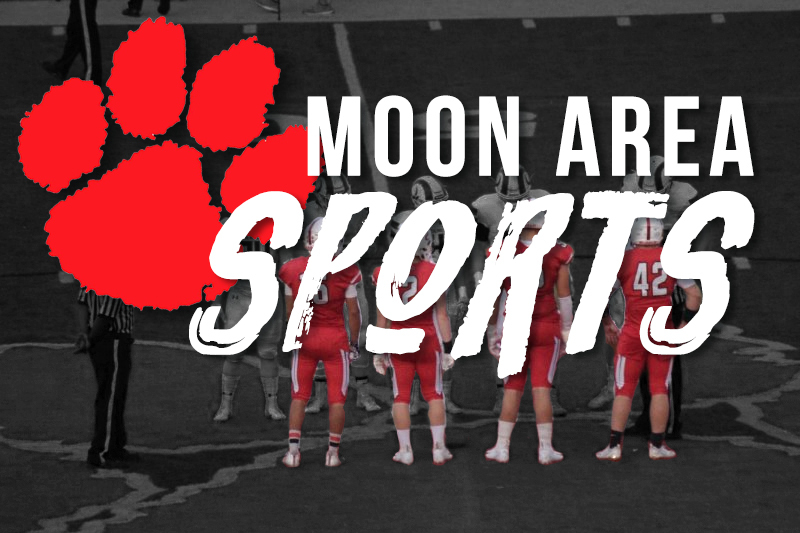 MOON TOWNSHIP — The Moon Tigers (16-0, 6-0) faced the South Fayette Lions (7-10, 1-5) at home in a game where their depth was tested. Moon’s star player, Donovan Johnson, was out for Friday’s game. Devontae Humphries got the start in Johnson’s place. At the beginning of the game, the Lions attacked with quick scoring off a quick bucket after a Moon turnover. Johnson’s absence clearly affected Moon’s paint presence in the beginning. This was shown after the Tigers missed four consecutive layups on three possessions. The Lions knew the importance of the game and started the game on a 7-2 run. About midway through the quarter, Moon’s defense became aggressive and unrelenting. The Tigers racked up four steals in the last three minutes of the quarter to lead them on a 6-0 run. The Lions closed out the quarter with the lead thanks to a buzzer beater corner three. The score after one was the 12-10, Lions. Yet again the Lions came out hot after the break and scored immediately with a layup along with the foul call to draw the and-one. Throughout the quarter both teams scored back and forth, but South Fayette retained the lead for most of the quarter. The Lions would hold the lead until the 3-minute mark where Austin Ryan made a layup among the Lions’ bigs. South Fayette took the lead right back on an uncontested layup on the other end. Moon closed out the quarter taking the lead yet again off of a scoop layup from Jioni Smith with 10 seconds left. Moon led at halftime 24-23. The third quarter was a defensively minded quarter. The quarter only consisted of a total of 12 points. Moon pulled away a bit from the Lions in a quarter where they only scored eight points and the Lions only scored four. Moon led 32-27. The fourth quarter started off with two turnovers back to back from the Lions both steals for Tre Carter. Later on in the quarter, Carter hit the dagger with a wide-open three extending Moon’s lead to eight with only two minutes to play. Moon shot six free throws in the quarter and made three out of the six attempts. Moon came out with the victory 44-33. This game was a testament to the depth of this team who played a decent game without their star player against a team who’s offensive skill was evident in the first two quarters. The Tigers will travel to Trinity to take on the Hillers in a conference game.